It’s unclear what changes the Obama administration just implemented for U.S. troops in Afghanistan. 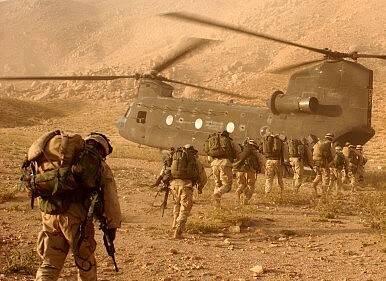 Last week, the Obama administration announced that it was making a few changes to the U.S. mission in Afghanistan. Specifically, the new changes will allow the U.S. military more room to maneuver in assisting their Afghan counterparts, while still remaining compliant with the terms of the 2014 Bilateral Security Agreement, which circumscribed a more limited U.S. combat role and marked the end of the U.S. combat mission. The administration’s decision isn’t coming out of the blue. Analysts of the security situation in Afghanistan have noted steady battlefield advances by the Taliban across the country over the past year. The fall of the Afghan city of Kunduz last fall was seen as a wake-up call for the Afghan government; for the Obama administration, it served as a sober reminder that the plan to continue its steady withdrawal and reduce troop counts further in 2017 would likely be inadvisable. More recently, following a deadly suicide bombing in Kabul in mid-April 2016, Afghan President Ashraf Ghani resolved to head to all-out war against the Taliban, effectively sidelining the Quadrilateral Coordination Group-led peace talks, which had yielded few results. Finally, in late May, the United States made the call to carry out a drone strike against Mullah Mohammad Akhtar Mansour, the leader of the Taliban, on Pakistani soil, in Balochistan. That is to anticipate situations in which the Afghan security forces would benefit from our support. This is using the forces we have here in a better way, basically, as we go through this fighting season. Some are reading the new change as an expansion of the U.S. rules of engagement (RoE) against the Taliban, but the restrictiveness of previous RoEs has been exaggerated. As my colleague Franz-Stefan Gady reported from Afghanistan in December 2015, after interviewing U.S. officers on the ground, the post-December 2014 RoEs mostly “have changed very little,” allowing U.S. personnel to effectively fight both the Taliban and the Islamic State. The Wall Street Journal (the Pentagon’s chosen outlet to announce the news this time) reported that the new rules will “allow limited air strikes against the Taliban,” but so did the old rules. The United States’ longest war is set to grow longer yet. Particularly, with Mansour out of the picture, all eyes are set on how his successor Haibatullah Akhundzada will lead the Taliban. Akhundzada continues to be flanked by Sirajuddin Haqqani as his deputy, as Mansour was. With Ghani poised to cast aside the peace process and head to war and Akhundzada likely eager to reciprocate, the United States can expect to remain at war well beyond its original withdrawal timeline. We’ll hopefully have more clarity on how the U.S. mission in Afghanistan is set to play out after Obama’s departure from office. His administration will have finalized a plan for the next U.S. president by next month. That’ll include a decision on precisely the number of troops that’ll remain in the country through 2017 and beyond, and what they’ll be doing there. U.S. Secretary of Defense Ashton Carter seemed impressed by Afghan troops in a recent visit to Kabul.